“O” Is For Oven (162/365 v2.0) – Annoyingly Boring? Was stumped for an “O” photo until I saw that the oven light was on. I turned off all the room lights, cracked the oven door and done. Awesome. 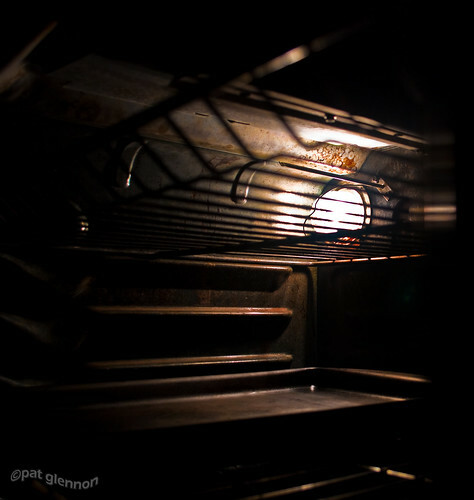 I would never want anyone taking a photo inside MY oven… Oh my…. .-= Maureen´s last blog ..My Bacon Number is Three =-. Cool! It looks so much darker and more ominous than an oven ought to! Not sure it would have even dawned on me that it WAS an oven, if you hadn’t told. Very nice! That’s a really cool photo. It’s amazing how the everyday can be art. .-= Dan´s last blog ..Top Ten Movie Characters, part 1 =-.